A new portrait of The Queen will feature in an upcoming exhibit of photographs by Hugo Rittson-Thomas. Inspired by 16th and 17th century paintings and reminiscent of the famous triple portrait of Charles I by Anthony van Dyck, the unique photos use mirrors to create "quadruple" portraits that show the subject from all sides. Mr. Rittson-Thomas captured The Queen in 2013 at Windsor Castle. She's wearing a burgundy dress by Angela Kelly with her usual day jewels and the badge of the Royal Scots Dragoon Guards, because the picture was taken during an event to celebrate the 60th anniversary of her colonelcy of the regiment. The exhibit is called The Queen's People, and features portraits of several other members of the Royal Household and key ceremonial figures as well. 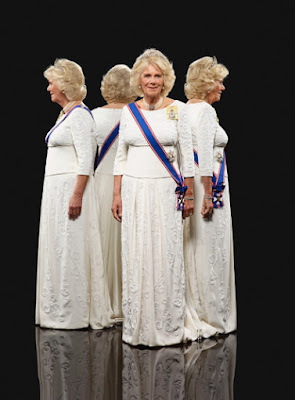 The Duchess of Cornwall was photographed this year while dressed up to attend the Royal Academy of Arts Dinner, with the Cubitt-Shand Tiara in place (the press releases simply refer to her jewelry as "family jewelry"). The Duke of Cambridge cuts an imposing figure in the frock coat of the Irish Guards in his portrait. 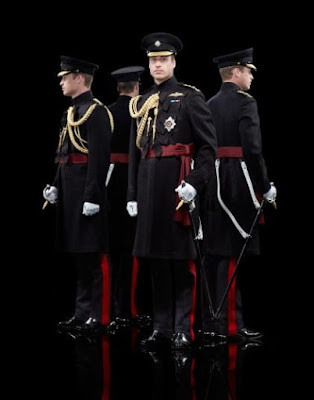 He is Colonel-in-Chief of the regiment and was photographed in 2012 while attending their St. Patrick's Day festivities with The Duchess of Cambridge. 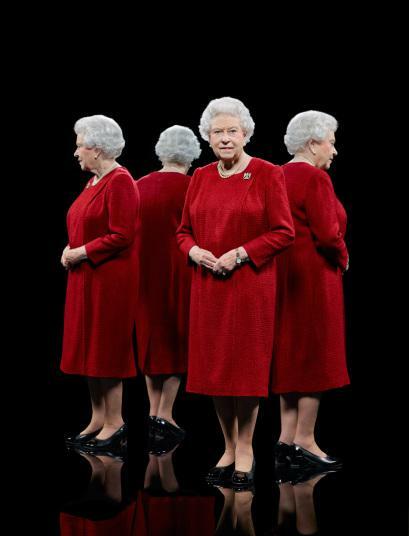 The Queen's People will be at the Eleven Gallery, London, from August 19 to September 19. The Telegraph has a gallery with more of the portraits; ITV News and BBC News have articles with some tidbits from the photographer on his time with Her Majesty.